Here is our third recipe for the month. 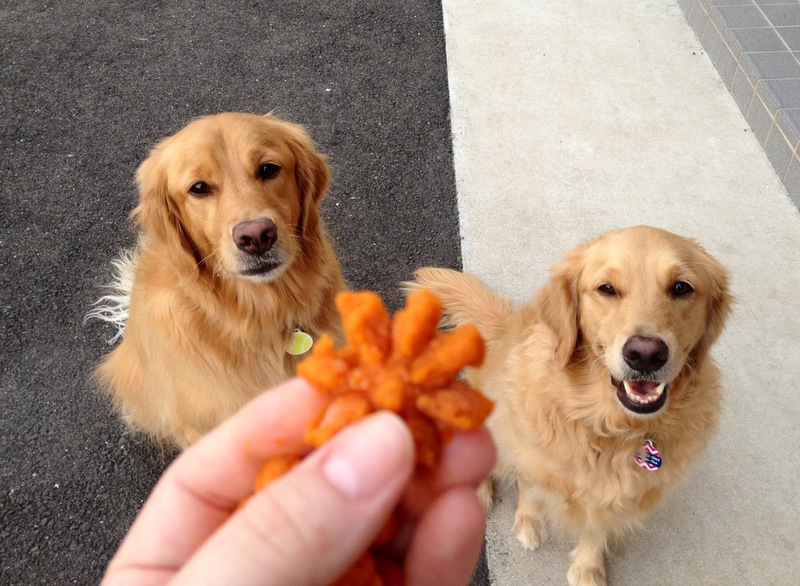 The dog days of summer are a lot nicer when you have yummy treats to cool you off. Our pumpkin pops will do just that for your pups. First, you will need to open that can of pumpkin and give it a good stir. Then you need to scoop it into the cookie press. 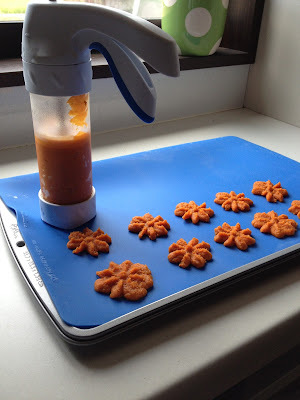 Since the pumpkin is soft I put my cookie press full of pumpkin into the freezer for about 30 minutes. 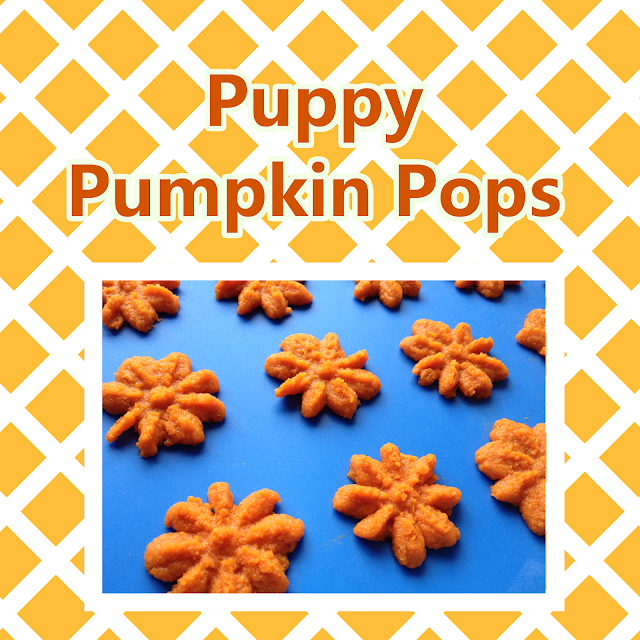 This firms up the pumpkin puree a bit and helps the pumpkin keep its shape once you squeeze it onto the cookie sheet. 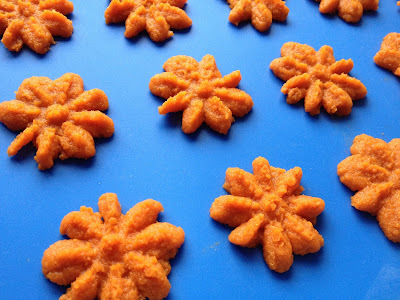 After about 30 minutes you can take out the cookie press and begin to squeeze your pumpkin shapes onto the cookie sheet. I laid down a silicon mat so they would peel off easier but you can also use wax paper. Once you have all your shapes pressed out you can pop them into the freezer. Mine took a few hours to become firm but you can leave yours in longer if needed. 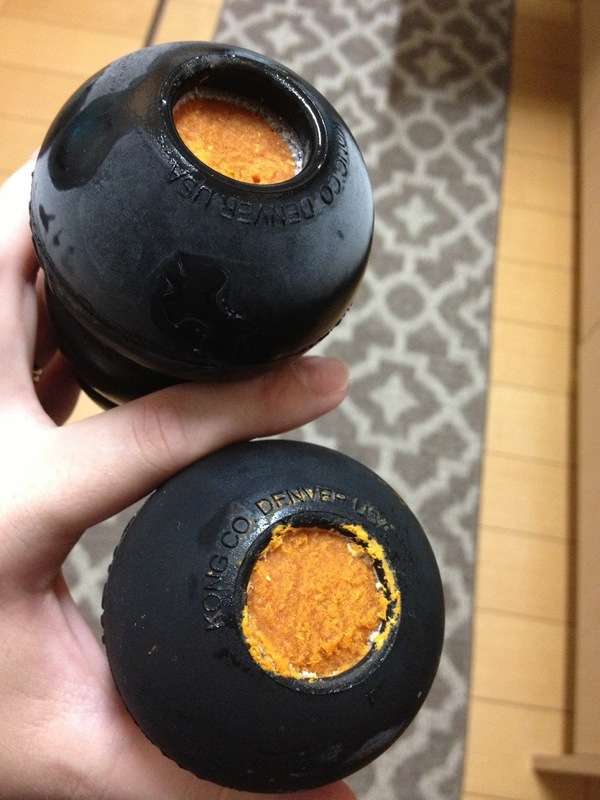 If you don't have a cookie press you can always use the fail safe method of scooping it into a Kong and freezing it. Place the frozen treats in a zip lock bag and store for up to 6 months. Last but not least, share your treats!